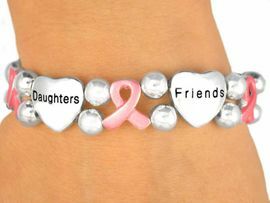 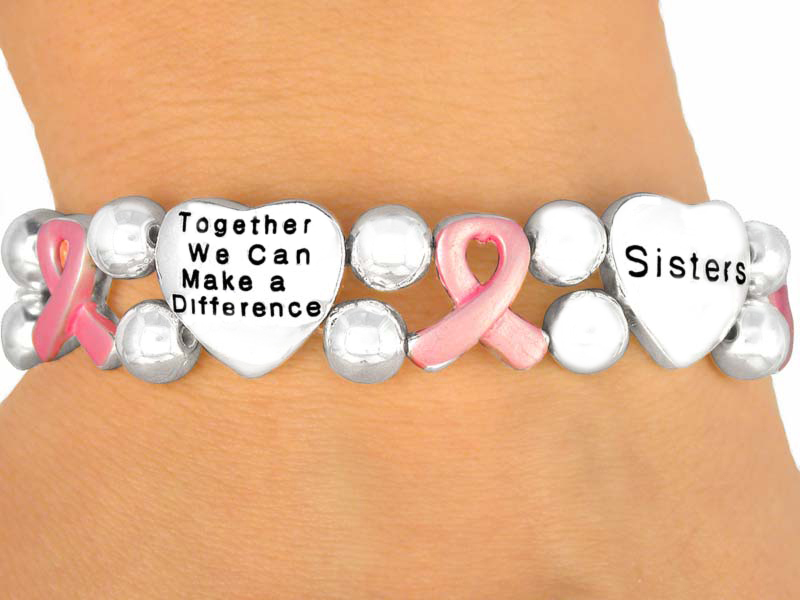 This Polished Silver Finish Stretch Bracelet Displays Hearts With "Friends," "Sisters," "Daughters," "Mothers," And "Together We Can Make A Difference" Printed On Them. 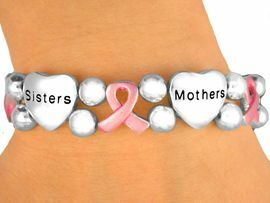 Between Each Heart Is A Pink Awareness Ribbon. 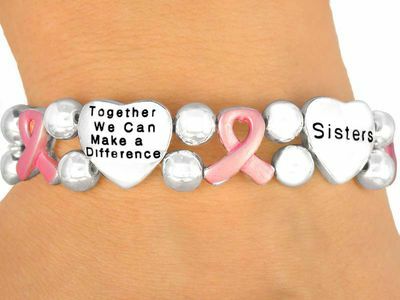 Great For Fundraisers, Walks, Gifts, Or Just To Show Support!